​DKK sponsors i.a. Hundens Dag (The Dogs' Day), Show of Winners and Politihundeforeningen (The Police Dog Community). Dansk Kennel Klub has declared Saturday June 2nd to be the national "Dogs' Day". We will celebrate this national holiday in the name of the dog with events all over the country. It will, therefore, be a great opportunity to see and meet the many different kinds of dog breeds in Denmark. Here the most winning dogs from the previous season meet to compete in the spotlight of the glamorous ring. All the while they are being cheered on by the festive audience that engage in the judge's thrilling verdicts on who stays and who goes. Through the year's Show of Winners has gotten many names: "The prom of the dog world", "Academy Awards for Dogs" or "The greatest get-together for Danish dog people". But no matter the name, it is an even that you should under no circumstances miss! Dansk Kennel Klub is a main sponsor for Show of Winners, contributing with sponsor gifts for all the winners, the winner of the year and for the lottery. Dansk Politihundeforening is founded in 1909. 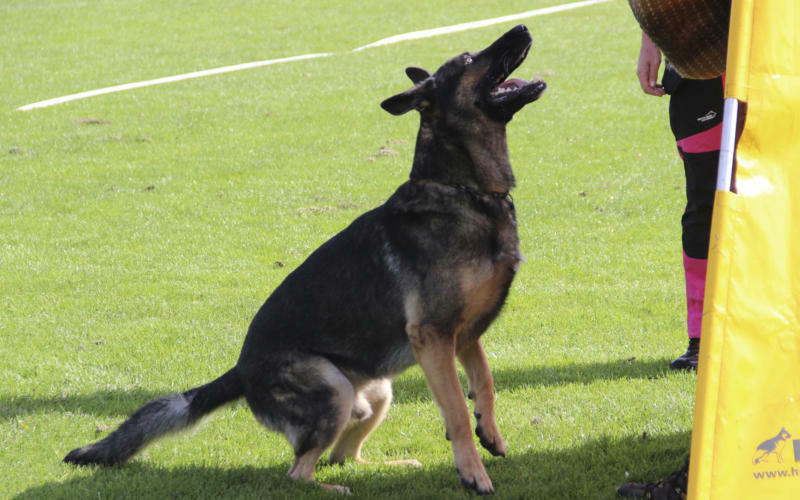 The associations' members are police officers with the police's patrol dogs (section I), civilians and police officers with civilian dogs (section II). Furthermore, they have a number of passive members. Dansk Kennel Klub sponsors every year's Top Dog election and Policedog of the Year is honoured at DKK's great show in Herning.